Michael Jackson died recently, on June 25 at the age of 50. The cause of death was technically cardiac arrest, however there are indications that Jackson’s abuse of the drug Diprivan was the actual cause of death. I think we can learn an importance lesson from this: we can realize the inability of any material things to provide lasting, stable happiness. Jackson was born into poverty. His father, however, was apparently extremely ambitious and put immense pressure on Michael to perform well in the family’s musical group. We can imagine that Jackson absorbed from birth the overwhelming message that fame and fortune were the highest priorities in life. At the age of 24, Jackson finally reached the pinnacle of show business success with the release of his album Thriller. 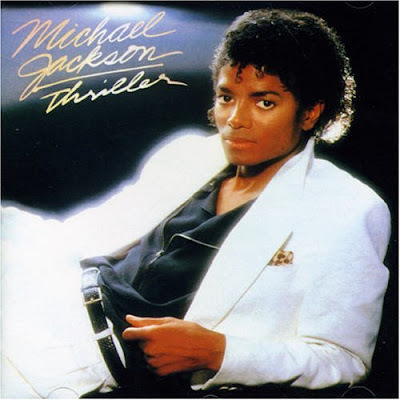 Thriller was the best selling album of all time. It won a record 8 Grammy awards in 1984. On May 14, 1984, Jackson received a personal award from President Ronald Regan in a ceremony at the White House. It was about this time that Jackson began suffering from various health problems: being underweight, undergoing perhaps dozens of cosmetic surgeries and abusing medications. These problems would continue and increase until his untimely death. He also seems to have fallen into a pattern of compulsive spending which basically ruined him financially. My theory is that when Jackson finally reached the summit of fame and fortune, when most people on the planet had heard of him and he had more money than he possibly could ever actually use, he then realized how empty it all was. I did not make him happy. He had worked so hard for nothing! This was a heartbreaking disappointment. He then began frantically attempting to find happiness in other more and more self destructive activities, but with no success. The end of all this was predictable. That’s a real tragedy. The only true, stable and permanent happiness in this world can come from connecting with our Creator. I am a genius, taking the latest theories of quantum physics and string theory into consideration, I invented special advanced technology for connecting with the Creator that I call the henosisator. I've created a special machine for connecting a Jewish skeptic's brain to reality. It's called a baseball bat. Wow, advocating the killing of Jewish skeptics. This is going to bring even more people back to the fold than your usual tactics! Why are Jewish skeptics so humorless? In any case, I wish to point out that I have no doubt that any sober, honest person reading my blog will be immediately convinced of the the truth of Orthodox Judaism.